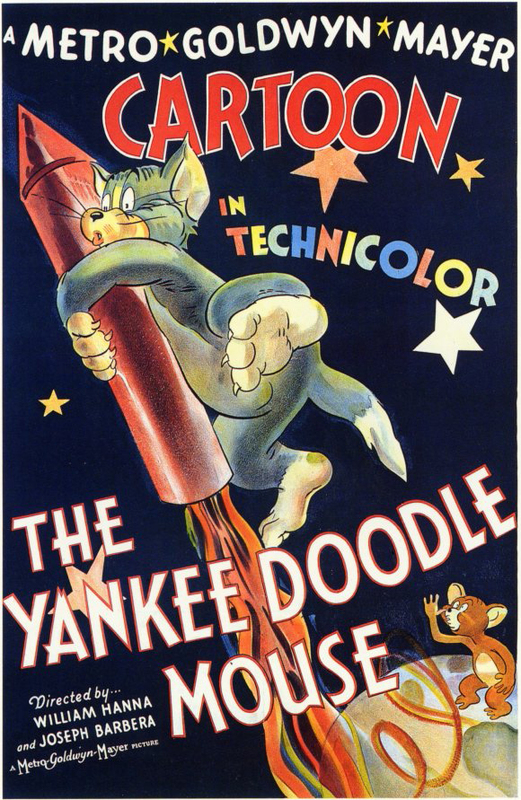 This is an original poster featuring imagery for the 1943 MGM Studios production, Yankee Doodle Mouse . This Poster features Tom and Jerry and is a reproduction of a theatrical movie poster for the short, created by a studio art program in the 1990s. The overall measurements of the piece are 32" x 21.5" and the image itself measures 30" x 20". This poster will ship rolled in a sturdy poster tube.